Flying out of the capital and need a comfortable and hassle free way to get to the airport? Take a Mevo! 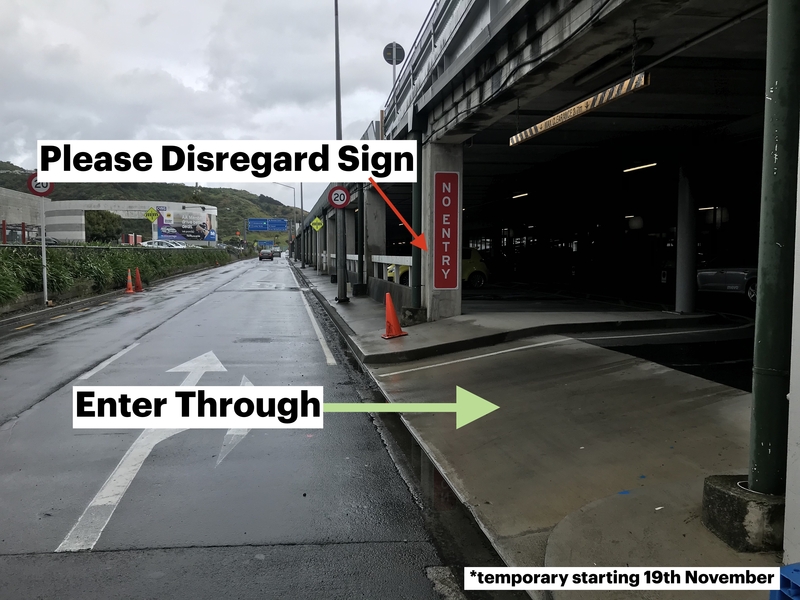 Simply drive out and leave your Mevo in the Wellington Airport home zone when you're done. Drive to the airport, approaching the gates on the left (the barrier arm will recognise your Mevo vehicle and will automatically open). 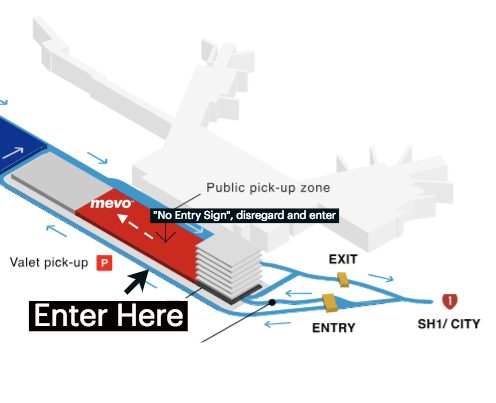 *** As of 19th Nov, there is a "NO ENTRY" sign, please disregard and go through to the Mevo car parks on Ground Level. Park your Mevo, collect your belongings, end your trip. If the Mevo parks (#30-#35) are full, park in spaces opposite of the designated car parks (disability parking), and let us know using the in-app chat or call the Mevo help line if urgent 0508 111 MEVO (0508 111 6386). 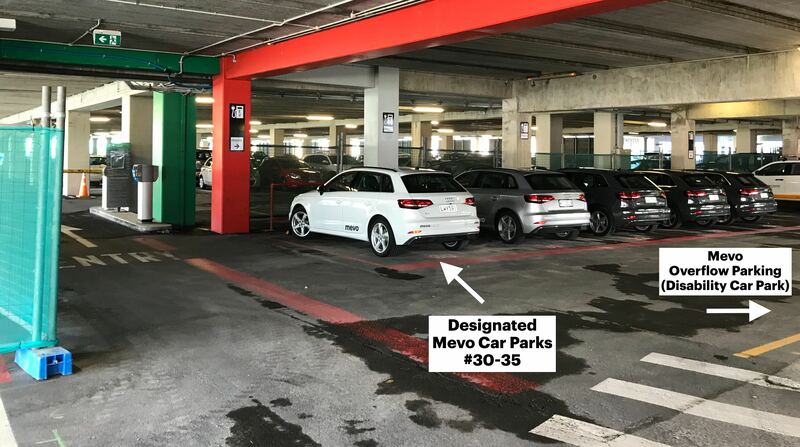 Designated Mevo Car Parks (#30 - #35): If all the designated Mevo parking are full, simply park in spaces opposite of the designated car parks (disability parking), and notify us via in-app chat or 0508 111 MEVO (6386). Failing to end your trip in specified parks or to let us know when you can't end your trip in the specified parks, can potentially incur in a $40 relocation fee. We are working with Wellington Airport to improve the access and space for our service. We thank you for your patience and apologise for any inconvenience this may've caused. Stay tuned for the new plans!